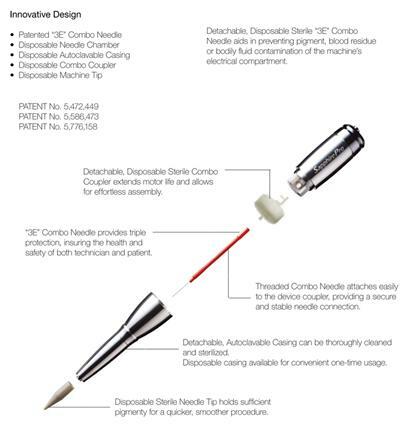 These single individual sterile needle tips are specifically created for one time use with the Sapphire machines by Mei-Cha. Use these needle tips to cover the 1, 2, 3, and 5-prong needles for the Sapphire PRO, Elite, and Sapphire 2000 Rotary Machines. You can select packages of 10 or 50 permanent cosmetics needle tips.